On a snowy and blustery day, I like nothing more than to sit back with a hot beverage, the scent of something baking wafting through my little condo. This bread was an absolute pleasure to make. I had just opened a new jar of yeast and had half a bag of bread flour just calling out to me. For the recipe, I turned to Sherry Yard, whose baking recipes rarely fail me; this one was no exception. In fact, the instructions in this recipe could not have been better. Not only are they clear, but I found the timing for the various stages to be spot-on. Perhaps the conditions in my kitchen were perfect that day, but it was rather unusual for me to not have to make any adjustments to a bread recipe. This recipe is easy to follow, and I would say, great if you’re a novice bread-maker. I don’t often make braided loaves (um…the last time was about ten years ago when I made butter stollen for Christmas – my first yeast bread ever! ), and I admit, the end loaf was gigantic. Next time, I think I’ll opt for two smaller loaves; I’ve included instructions for each below. Combine the yeast and water in the bowl of a stand mixer; whisk until yeast is dissolved. With paddle, stir in honey and flour to form a batter. Cover with plastic wrap and rest in warm environment (I set my oven to warm and put the bowl on the vent burner) for 20-30 minutes, until just a few bubbles have appeared on the surface of the sponge. Add flour and salt to the sponge, then the eggs and yolks, and oil. Mix on low for 2 minutes with paddle, then switch to dough hook and knead for 8-10 minutes on medium speed, until a smooth ball has formed. Hold on to the mixer during this time! It will jump around, and could vibrate its way over the floor in the moment you turn your back. Lightly oil a bowl and transfer the dough to this bowl. Turn the dough so it’s coated all around with oil, then cover with plastic wrap and let rise at room temperature for an hour; it will almost double in size. On a lightly floured surface, knead the dough for 1 minute, then return to the oiled bowl. Cover and let rise another hour, until doubled. Line a baking sheet with parchment. On a lightly floured surface, divide the dough into 3 equal portions (6 if making two smaller loaves). Shape the dough into balls and cover with plastic wrap; let rest for 10 minutes. Whisk the egg and water in a small bowl. Brush the surface of the dough with the egg wash. Reserve remaining egg wash.
Cover the dough with plastic and proof 60 to 90 minutes, until the dough is 1 1/2 times its original size. Preheat the oven to 350*F and adjust the oven rack to the middle. Brush the loaf again with egg wash. Bake for 35-40 minutes, or until the internal temperature reaches 180*F. Transfer to a wire rack to cool completely before slicing. Tightly wrapped loaves will stay fresh at room temperature up to 2 days. That’s one of the reasons I made it And yes – absolutely delicious. Absolutely nothing beats a house/apt filled with the lovely smell of baked bread! I love baking bread – I must admit I don’t like doing it in the winter! 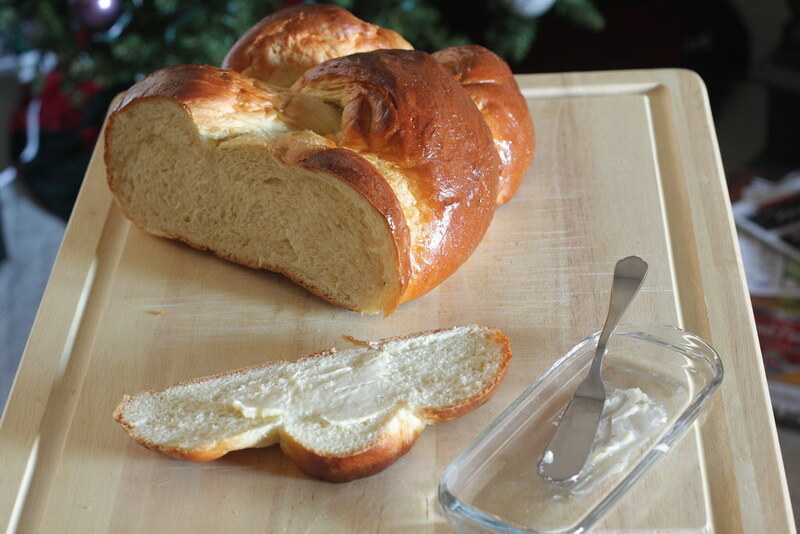 Your challah looks wonderful and thank you for sharing the recipe! I love how beautifully golden it looks – delish! Patricia – I can’t take credit for the color – that’s courtesy of the egg wash. 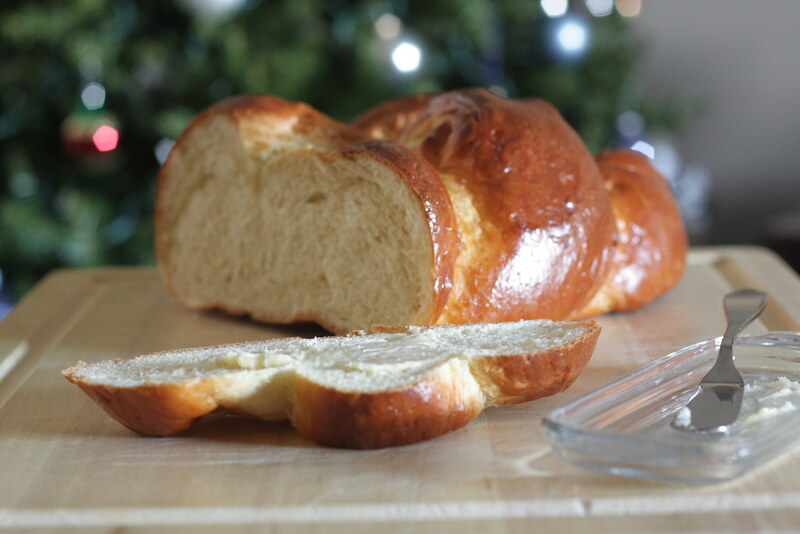 I used your recipe to make challah and it turned out so well. 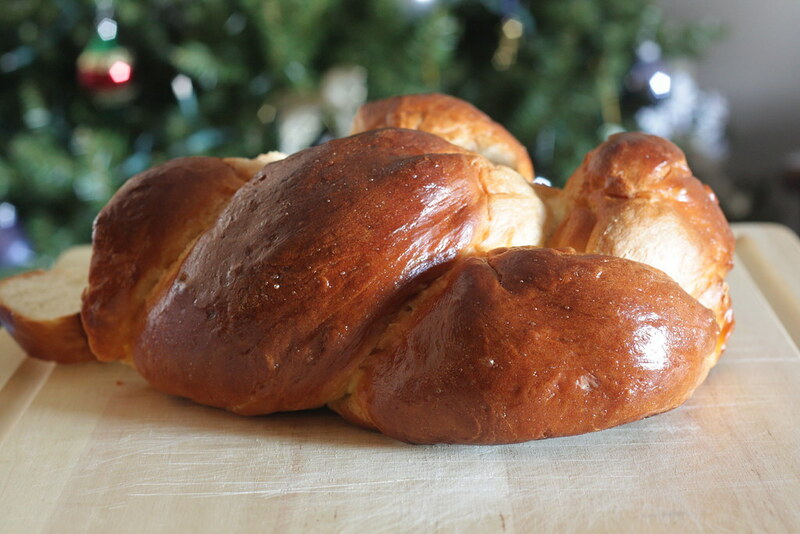 I have been on the hunt for a good challah recipe for awhile and am so glad to finally find one. Thanks! Elizabeth, I’m so happy to hear that you enjoyed it! I just made French toast (again) with some of the leftovers last night, since it’s very dried out now. And the rest? I’m making parmesan croutons – they are just the best for soup or salad.